So glad I found this new forum. I live on the Suffolk Coast with my husband and five dogs! any info on your dogs? like age, breed, personality etc? and any pics of your dogs to share with us? 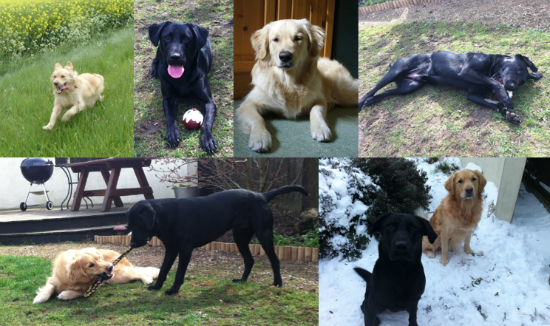 Look forward to seeing you around the forum and seeing pics of your dogs! I've got five dogs. Two airedales (one is 15mths, the other 7), a golden retriever (not sure of her age as I rehomed her but I think she is about 7), lhapsa apso (7)) and a yorkie cross (10). Don't ask how I ended up with five dogs - it just happened. It's only the airedales that you have to watch really. They can be a bit naughty sometimes! Lovely photos, someone near where I used to live had an airdale he was a gorgeous boy, called Garth I think. anyways back to the topic.........................hey are all lovely.